James is my favorite book of the Bible — well, one of them, anyways. I’ve read it for years and have been excited to go deeper in studying it. 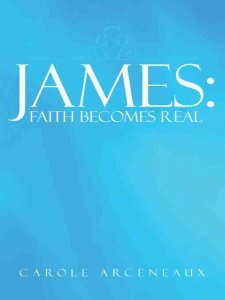 Because of this, I was really excited to read James: Faith Becomes Real, by Carole Arceneaux. Unfortunately, this book doesn’t fit the bill at all. It’s geared more towards quick bible studies and doesn’t even do too well at simple devotionals. The basic structure of the book is as follows: for each verse or chunk, the author took the loosest, most obvious broad concept in the verse and wrote a few pages on it. Some verses are missing, apparently because the author had nothing good to say about them. This would be okay if the author at least wove the verses together — James is, after all, a unified book — but the book is totally disjointed into short devotionals. These are written completely in isolation from each other, and there is very little if any carryover between them. While the verses of the original book are clearly cohesive, the studies in this book are not. My point is, the book doesn’t go in depth into James itself at all. Only the broadest themes and concepts are included. Each devotional will start with one of these broad concepts and then not mention James again throughout almost the entire rest of the study. If you’re looking for a good study of James, save your time and look elsewhere. Even if you’re looking for good, short devotionals for daily reading, you’re better off elsewhere. Faith Becomes Real is often superficial, even trite. 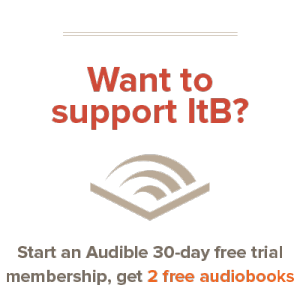 The author glosses over huge issues and resolves them with quick fixes. At the end, she asks ‘questions’ that are meant to provoke further study but are hilariously broad. My favorite: ‘Have you every gotten frustrated?’ Not only is this barely related to James at all, it’s almost too broad to be of use for anything. Of course I have! I got frustrated reading this book! I kid. In all seriousness, this book isn’t worth your time. It’s a quasi-self published book from Westbow Press, and after three or four bad experiences, I’m suspecting the quality in the imprint. It’s not enough to make me steer clear of any Westbow Press, but I’m disappointed. My search for a good James study continues, and I’ll have one more useless book on my Nook (I received this book for free from BookLook Bloggers. I wasn’t obligated to give a positive review, and I clearly didn’t, as you can see).